Having three kids means we have lots of stuff. Often this “stuff” leaves the house with us – backpacks, coats, shoes, lunch boxes, water bottles, etc, etc, etc. I’ve been lucky so far that mainly this stuff has belonged to Isabelle. Although she is only five she is more responsible than some adults I know. She not only knows everything that belongs to her but also everything that belongs to everyone in our family and everything that belongs to every child in her class. If she leaves the house with something you can bet your bottom dollar that it is coming back to our house in the same shape that it left in. This year, however, Henry started preschool and various classes as well. Henry is as sweet as they come but definitely didn’t inherit his sister’s abilities to be responsible for his belongings. 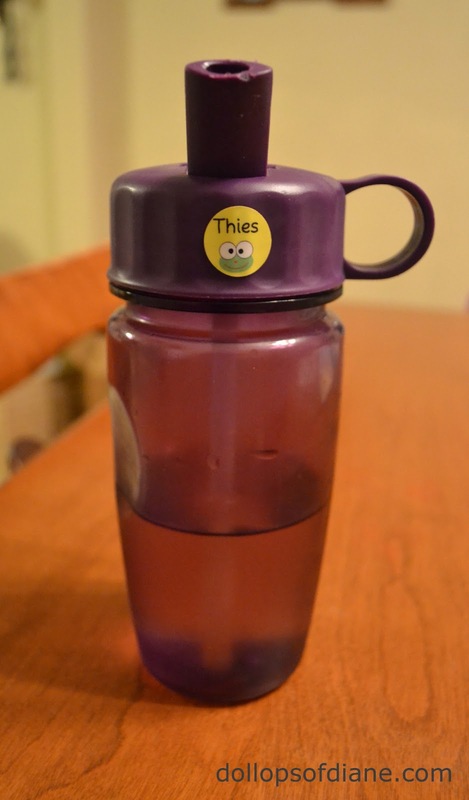 He is a kid who needs labels…..enter Kiddo Tags! What are Kiddo Tags, you ask? Well they are custom name labels that stick to your child’s toys, bottles, cups, pacifiers, AND kid's clothing. They are Dishwasher and Microwave Safe, Waterproof and Weather-proof (UV-Resistant). Kiddo Tags are durable labels with over 150 character icons, 18 different colors, 25 different fonts AND many shapes and styles to choose from! 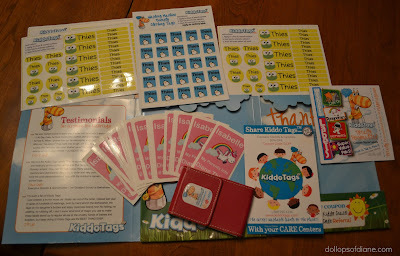 Kiddo Tags recently sent me their Value Pack Kiddo Tags, Clothing Tags, and the Social Kiddos Playdate Card Kit to try out. Since I have three kids I made the stickers with our last name on them in order to optimize usage. They have so many color choices, design choices, fonts, size, shapes, and all that jazz. It was hard to choose which ones since there were so many cute ones! I got them about a month ago and they have been useful and durable (lots of dishwasher/laundry machine trips!). It’s a win/win since the kids also love them because of the cute designs. We've started labeling Isabelle's belongings just for fun! Although I find them useful as a stay at home mom, I think they would be a HUGE help to people who send their children to daycare. I can remember spending many a nights with a sharpie in hand when Isabelle was a baby and went to daycare. It would have been so much easier to just slap a sticker on everything! Also, the clothing tags are great because they are sticky labels that you can place directly on the clothes tag (or even clothes directly). There’s no need to iron on (although they do have that option if you prefer)! Isabelle is also excited about the cards that I had made up for her. They have her name and my information on them and are designed to give out for playdates, at the playground, etc. They also come with their own carrying case (in varying colors) too so it makes the kids feel extra cool! So if you’re in need of any kind of labeling product for your children (including allergy/health information) be sure to check out KiddoTags! You can also find them on Facebook and Twitter.